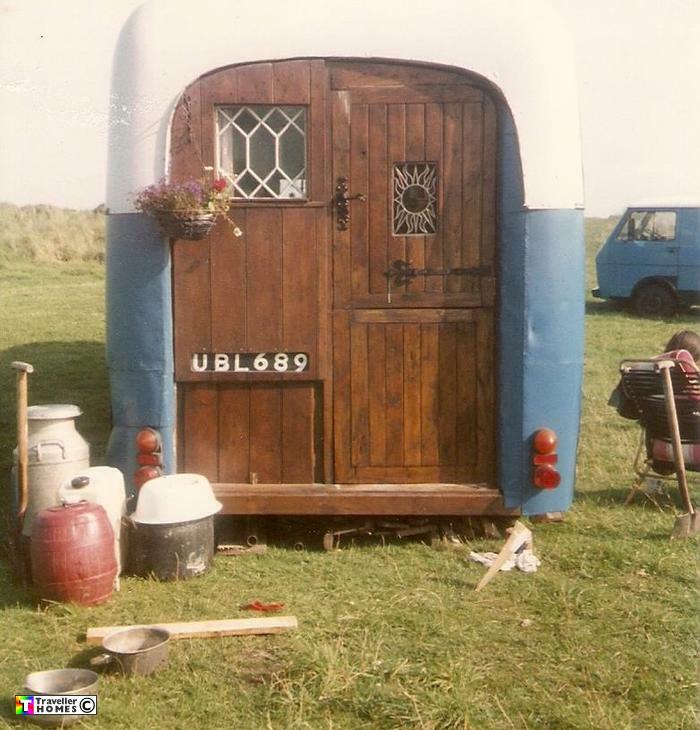 UBL689 (1960) Bedford SB1 . Duple Midland B42F. Ex-AWRE . Aldermaston . Seen 1991 . They sold the bus to another Traveller in 1992 .. Photo = Ted .